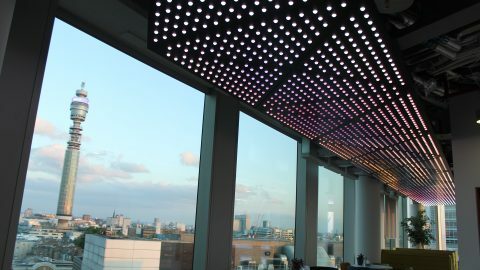 The Light Lab have recently completed work on the design, manufacture & installation of a bespoke ceiling light feature at commercial offices in the City. 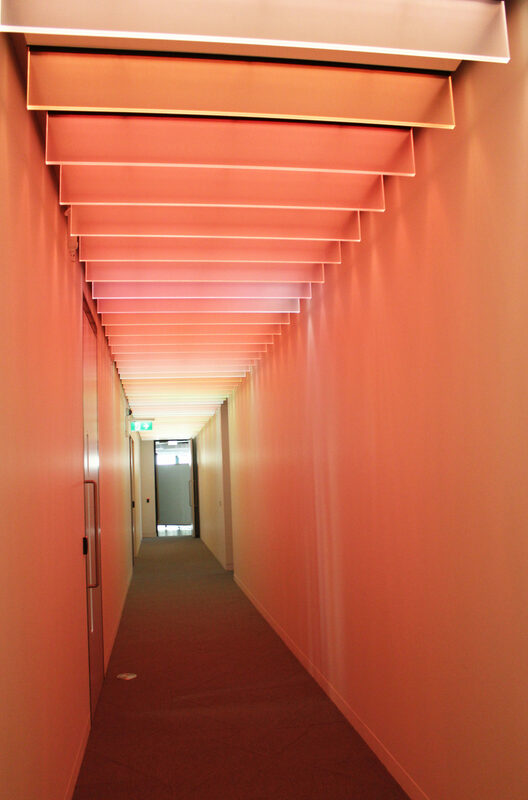 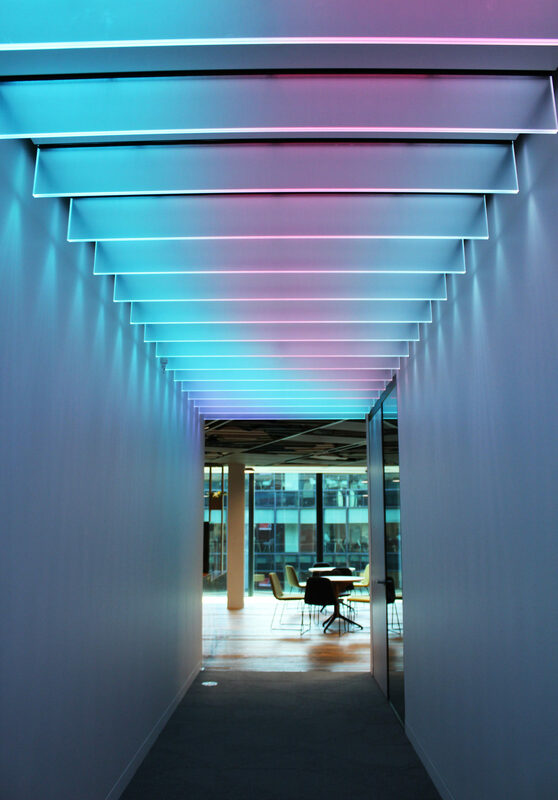 The high end consultancy client commissioned bespoke lighting manufacturers The Light Lab to design and build a contemporary and inspiring installation as the entry corridor to their client meeting rooms. 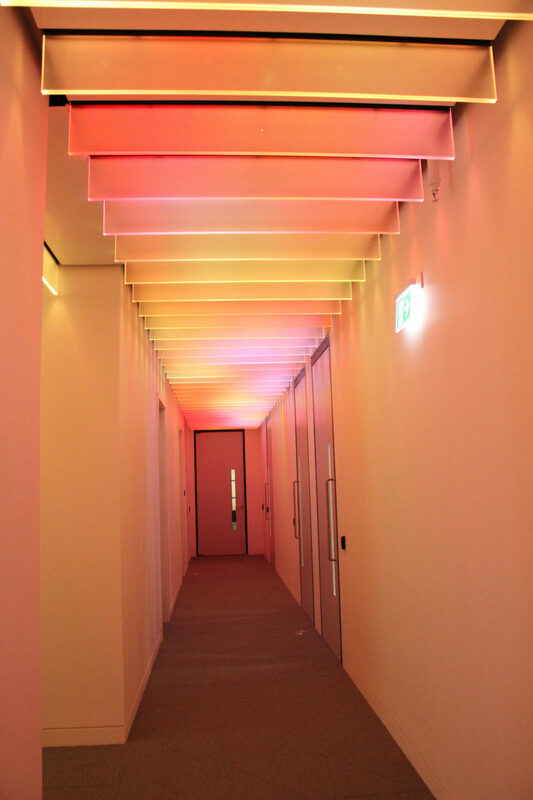 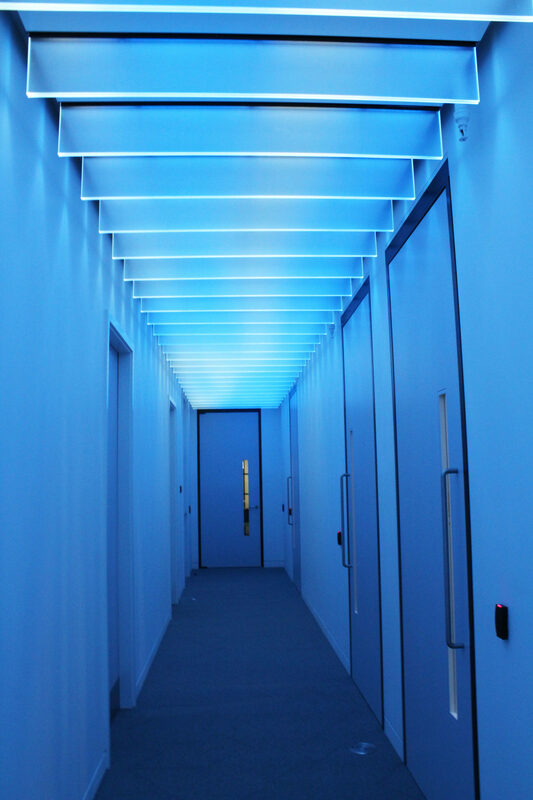 Running across the length of a 35m corridor and 5m offshoot corridor, they created a fully animated digital sky with multiple changing effects, using their edge lit glass fins, Spectraglass and the latest in SPI technology (1/50th the cabling requirements of a similar DMX based installation). 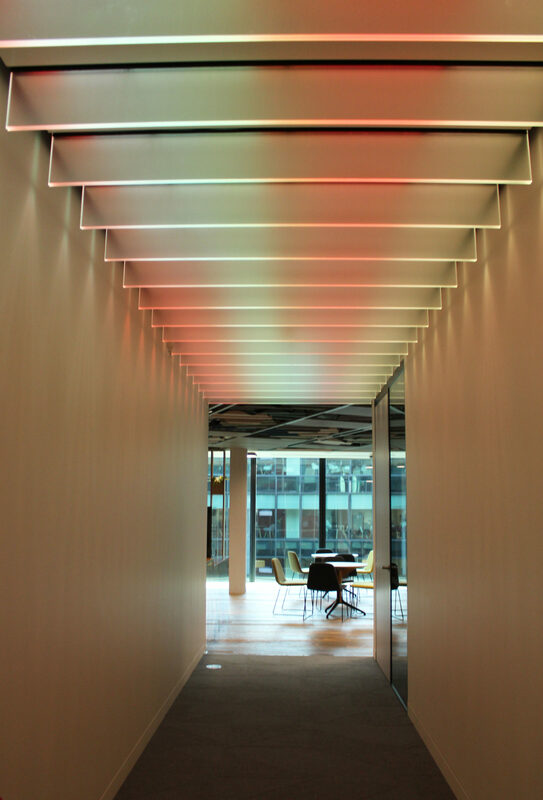 The 2,000 pixels of RGBW LED light, softened through the glass, gives a gentle, calming sense of space in the small corridor together with a striking entrance to client meeting rooms. 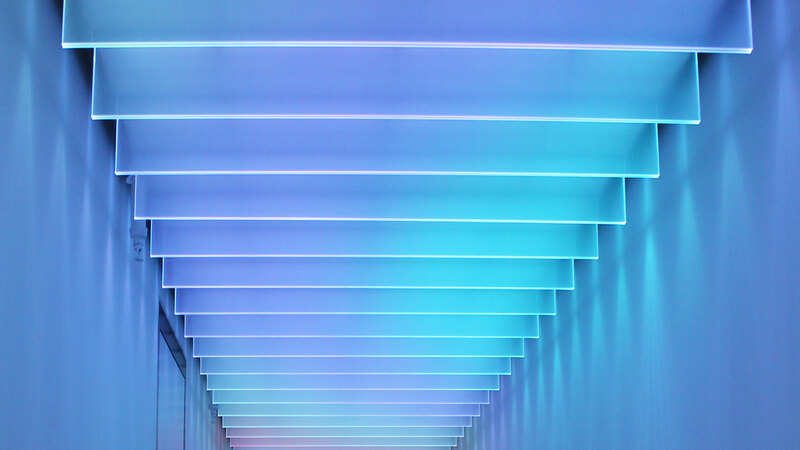 “Building on our previous experience with the Penn Station project, we were able to incorporate the latest in SPI technology, which enabled us to have a pixel density 5 times greater than previously, allowing for a much higher level of definition and spectacular effects across the piece. 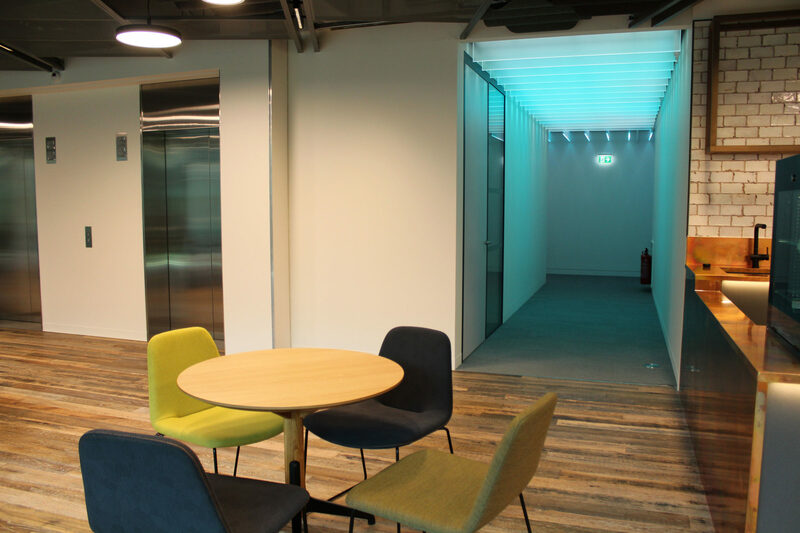 We had also developed the structural design to allow us to work in a tighter space – as height was very restricted – which led to a neat and cost effective installation”. 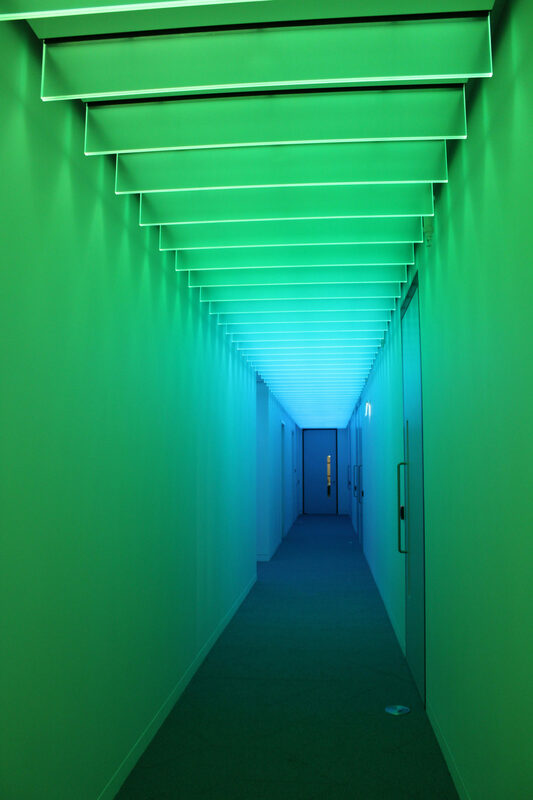 Project Manager/Director Phil Riley. 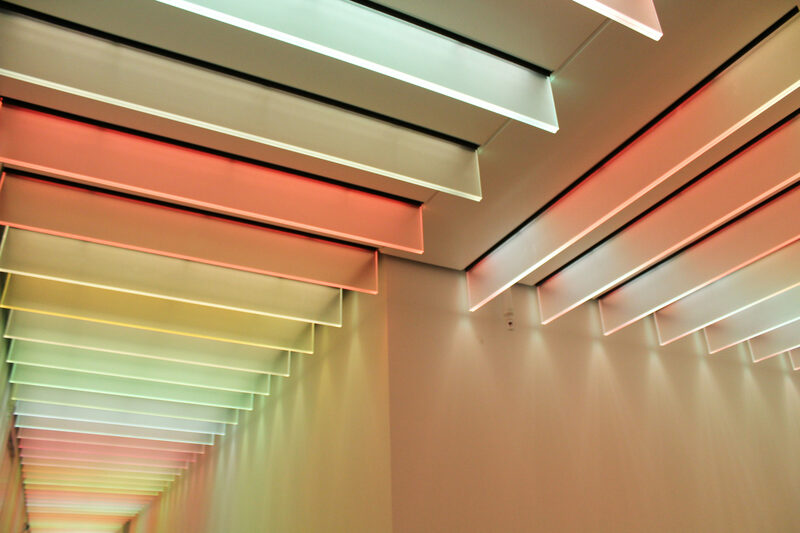 The digital canvas has a variety of lighting patterns, automatically programmed via DALI controller. 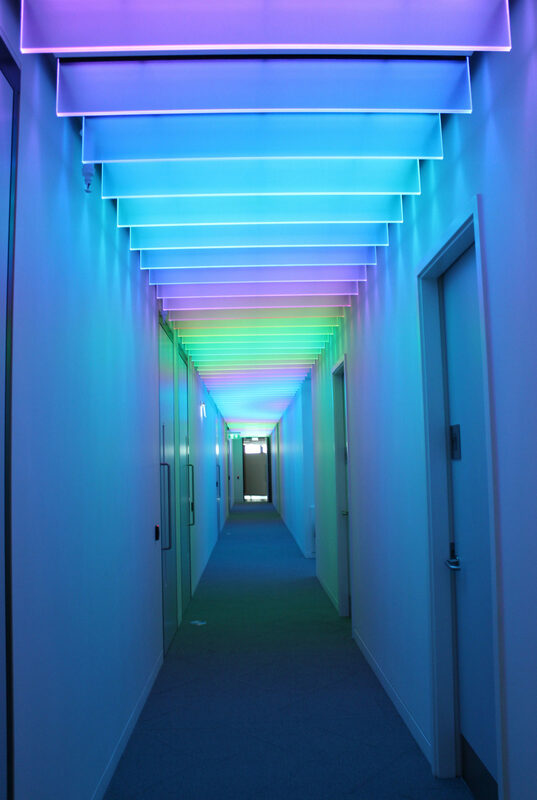 These are based on several different themes/concepts; all devised by light artists miriamandtom, including ‘clouds’, ‘people’, ‘tracks’ and “Rainbow” effects. 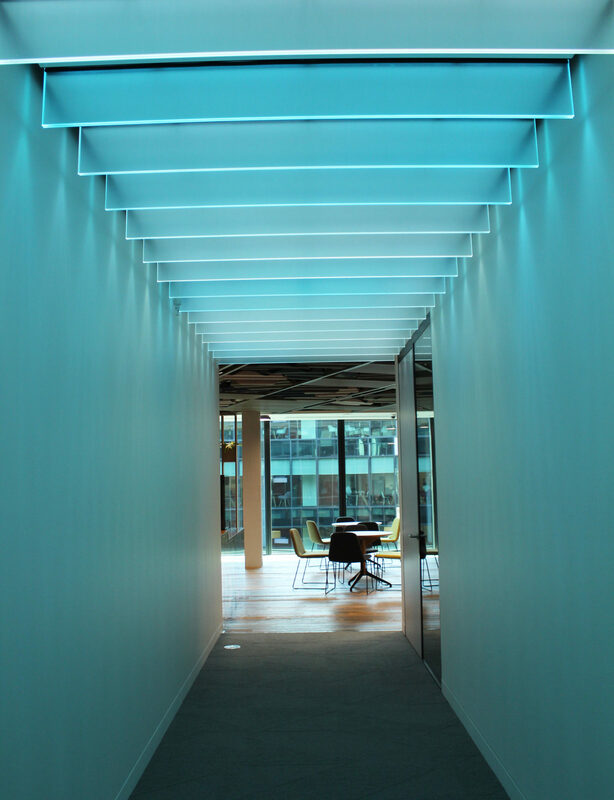 Each theme runs a unique pattern across the Spectraglass fins, to create different moods, with a wide range of colour and movement. 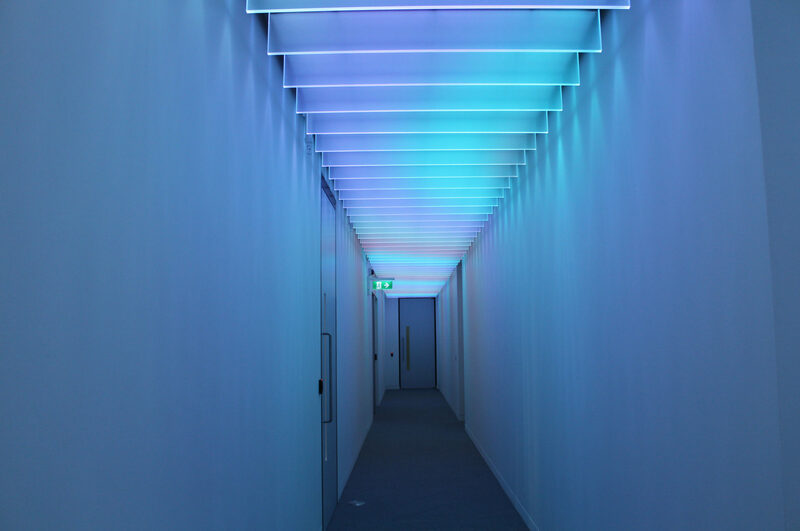 Tom Sloane of miriamandtom describes, ‘The new SPI technology provided a more sophisticated canvas and higher resolution allowing us to express our content with a richer pallet of colour and movement”. 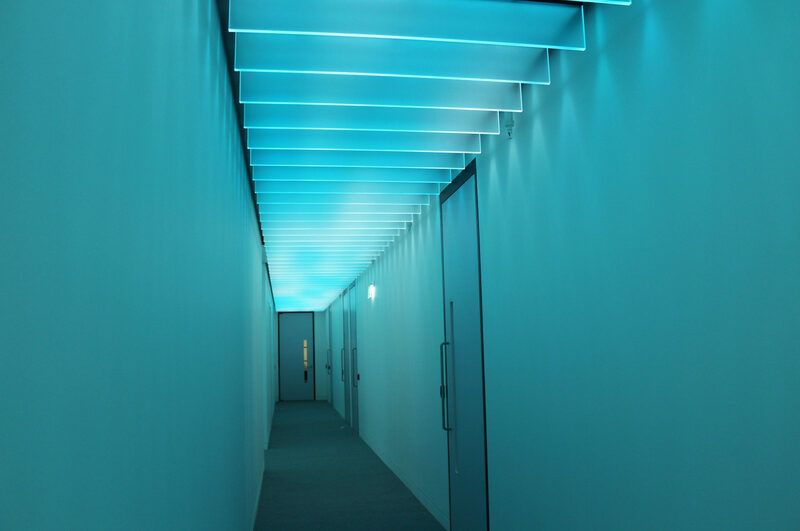 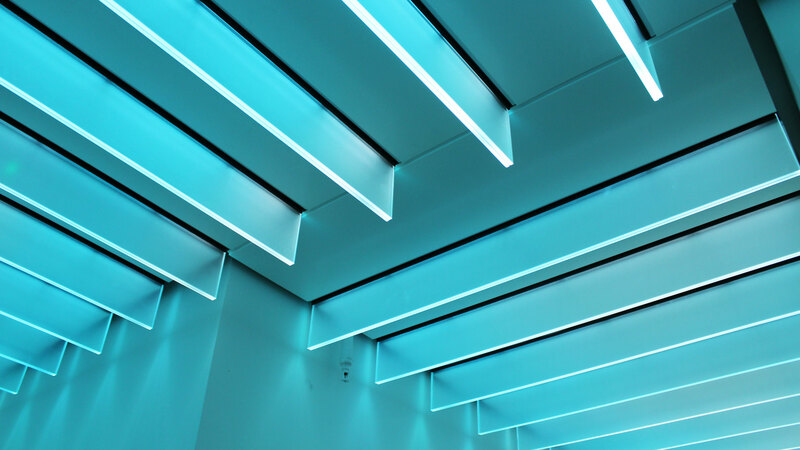 The SPI ceiling brings a fresh and contemporary feel to the corridor space, and is an example of how light art is increasingly important within the lighting design industry; becoming an integral part of many projects, particularly in commercial office lighting.